Please call us immediately when something is loose or broken. We will advise you whether you need to come in straight away to have it repaired or whether it can wait until your next appointment. 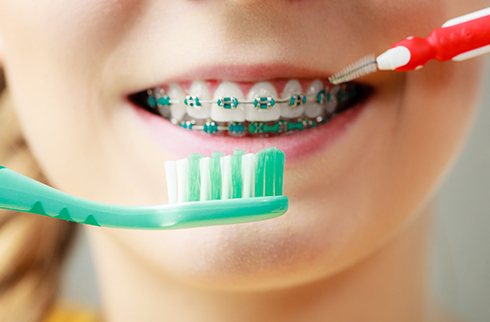 Breakages include loose bands and/or braces that have come unstuck from the tooth; elastics that have fallen off; broken or bent wires; wires that have come out of the braces; and broken plates.Where an appointment is required to manage an orthodontic emergency, these appointments will be scheduled between 9am and 3pm. Emergency patients will be seen by appointment only. For more information click here for our braces care brochure. Our practice accepts payments by cash, credit card, EFTPOS and direct credit. We offer several payment options for your convenience. We are more than happy to explain your choices in detail and will work hard to accommodate your needs. Download your patient registration form here and bring into Otago Orthodontics. Orthodontics is that branch of dentistry that specialises in the diagnosis, prevention and treatment of problems in the alignment of teeth and jaws. Common problems encountered include crooked or crowded teeth, protruding or “buck” teeth and incorrect jaw development. Orthodontic treatment involves the design and use of appliances (such as braces and plates) to bring the teeth and jaws into proper alignment. An orthodontist is a dentist who has completed a 3-year full time university doctorate training program that enables them to specialise in the area of orthodontics. Orthodontists do not generally perform general dental treatments such as fillings, extractions or crowns. The timing of orthodontic treatment is extremely important and greatly affects the treatment result. Since no two patients are alike, there is no specific age that is best to begin treatment. We recommend a specialist orthodontic examination by age 9 – 10 years if a parent or the family dentist discovers a potential problem. Fortunately not all of the children examined at that age will require immediate or urgent treatment. For those that don’t, an appropriate review protocol can be created so that their dental and facial development is closely monitored during the important growth years. Each individual’s orthodontic needs are different and deserve personalised attention. Your initial visit is an opportunity for us to get to know you and to help determine your orthodontic goals.At your first visit, your orthodontist will give you (or your child) a comprehensive orthodontic examination. This entails looking at your teeth and jaws, and how they fit together. An assessment will also be made of gum health, oral hygiene and facial symmetry. We will then review these findings with you and give advice on the treatment options available, when treatment should commence, the expected duration of treatment, and the approximate cost. When can I start treatment and how long will it take? Once you are comfortable with the proposed treatment plan and treatment objectives then you are ready to proceed into orthodontic treatment. If you require extractions or any other general dental treatment, this will need to be arranged with your general dentist before the orthodontic appliances are fitted. A general dental check-up and scale and clean is strongly advisable prior to the fitting of braces.Treatment times vary significantly depending on age, the severity of the initial problem, type of orthodontic appliances used and patient compliance. Comprehensive orthodontic treatment typically lasts between 18 and 24 months with appointments scheduled every 4-8 weeks. Complex treatments and adult orthodontic treatment may take in excess of 2 years to complete. Initial consultation is: free for children under 11 years of age, children over 11 and adults $80. Our fees for comprehensive treatment vary greatly depending on the nature and severity of the presenting problems, the age of the patient, the treatment method, the type of appliances used and the anticipated treatment duration. The total cost of treatment will be discussed with you at your consultation once all your records have been analysed. All treatment can be paid off in equal monthly payments over the duration of the treatment, interest free. There is no large upfront deposit required for braces. We believe in non-extraction treatment whenever possible. With this goal in mind, we stress the importance of early screenings and intervention when necessary for children. Even with early screening, about 30% of patients with crowding problems will probably need 2 or more teeth removed to create space to align the remaining teeth. No. We offer the latest innovative and cosmetic options in orthodontic treatment, particularly for our adult patients. 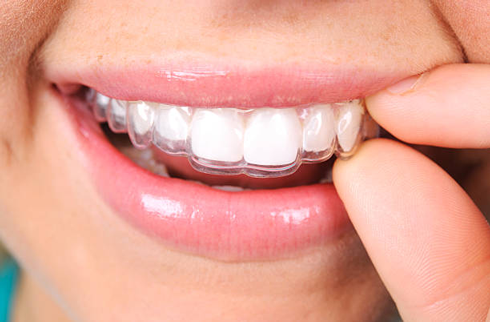 These include tooth-coloured braces lingual braces (braces on the inside of your teeth) and Invisalign® tooth aligners. Colourful rubber bands used in conjunction with metal braces make braces fun for many of our younger patients. Having separators and braces put on is a relatively easy and painless procedure. Putting in separators is as easy as flossing a tiny rubber ring between two teeth and leaving it there. Many patients describe separators as like having a piece of food stuck between your teeth. No needles or “drilling” are involved in the fitting of braces, as they are simply glued to the teeth. The majority of patients will experience slight pressure or discomfort for about two or three days after their braces are first fitted and then again for a day or two after each adjustment. Even though braces only protrude out about 2-3 millimetres from your teeth, it may take your lips, cheeks and tongue a few days to a few weeks to become accustomed to rubbing against the braces. If part of the braces is irritating your mouth, you can place orthodontic wax to help smooth the rough area. Any small ulcers that develop usually resolve with a few weeks. Can I get treatment for just on my top or bottom teeth? That depends. We are not only concerned with straightening your teeth for cosmetic purposes, but we also need to make sure your bite is comfortable and stable at the end of treatment. Generally, if only one arch is treated, your bite will remain uncorrected or maybe even made worse. Over time, a malocclusion (bad bite) could cause damage to your teeth, gum tissues, and jaw joints. Therefore, with many problems, correcting just one arch would not be offered as a viable orthodontic treatment option. At the completion of the active part of orthodontic treatment, the braces are removed and retaining appliances (retainers) are fitted to hold the teeth steady in their new position while the surrounding bone and gums adjust around them. 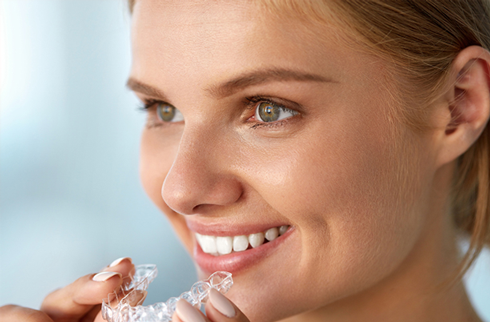 These appliances may be plastic removable plates or fixed wires fitted behind the teeth.Retainers play an important role in long-term orthodontic treatment success. If they are not worn according to instructions, the teeth will move back towards their original position. The removable retaining appliances are usually worn: – Full-time for approximately six months – Just at night for a further six months – One or two nights a week for the second year Fixed or “bonded” retainers are usually secured to the inside surfaces of the front six teeth and are designed to be kept in place indefinitely. 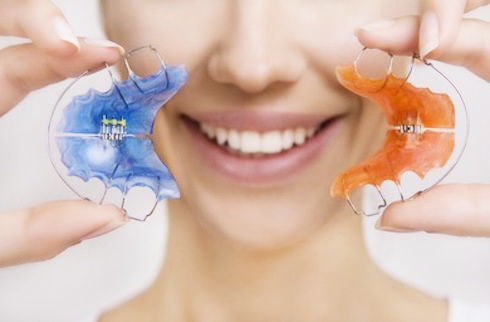 The longer a fixed retainer is worn, the better, as it maximises the chance of the teeth staying perfectly straight as you age. Do I still need to see a dentist during orthodontic treatment? You should be able to play just about any sport or activity. We strongly recommend though that you wear a mouthguard in contact sports or any sport where there is a chance you can get hit in the face. Doesn’t the government pay for dental care for children until they are 18 years old? Yes, but that does not include specialised orthodontic work. If your child has a bite or teeth alignment problem, you need to know all the treatment options available and you also need the best care. You need the services of an orthodontist. 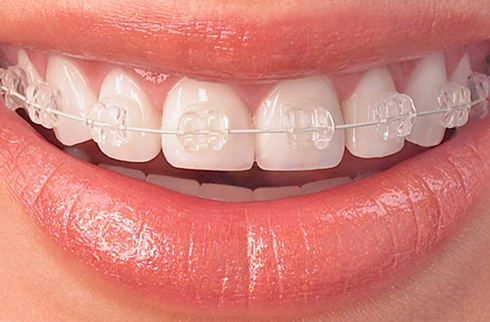 – Types of Braces – Braces with colour – Clear ceramic braces – Twin Blocks – Invisalign clear retainer. Orthognathic Surgery is generally restricted to healthy adults where all major skeletal growth has ceased. Patients from ages 18 to 45 years of age are the best candidates. Orthognathic Surgery is usually recommended when there has been a significant jaw growth imbalance resulting in a considerable malocclusion or “bad bite”. In these situations, simple alignment of dental arches with orthodontic appliances alone cannot produce a satisfactory aesthetic or functional outcome. This is primarily because the orthodontic appliances such as braces will only move the teeth and have very little effect on irregular jaw positions. The surgery is performed by an Oral and Maxillofacial Surgeon. These specialist practitioners have training in dentistry, medicine, general surgery and head and neck surgery. You will be referred to an experienced surgeon who works in close collaboration with your orthodontist. The Orthodontist is usually the first person in the dental team to recognise the need for Orthognathic Surgery. After collecting facial and dental x-rays, dental casts and photographs, your orthodontist will evaluate the type of jaw repositioning required. After liaising with an Oral and Maxillofacial Surgeon, a definitive treatment plan is agreed upon. A willingness and commitment from the applicant to perform 20 hours of community work during the course of the orthodontic treatment. The Wish For A Smile Trust board meets immediately post February and August to consider applications assessed at the the end of those months. The Wish For A Smile Trust is a non-profit charitable trust that is dependent on donations.